Sarah Howe Cookson School of Dance is committed to protecting your privacy. This privacy statement explains how we collect and use information on www.sarahhowecookson.co.uk (the “Site”) – it does not apply to any offline products or services. By accessing our site, you are consenting to the information collection and use practices described in this privacy statement. Personal information is any information that could be used to identify you. The personal information we collect may include your name, title, company or organization name, work e-mail, work phone, work or home address, information about your job function, information about your company and credit card details for the purchase of Sarah Howe Cookson School of Dance products or services. 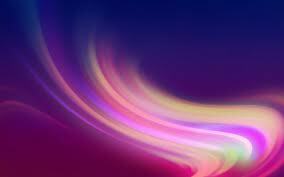 The personal information collected on this Site will be used to operate the Site and to provide the service(s) or carry out the transaction(s) you have requested. In support of these uses, Sarah Howe Cookson School of Dance may use personal information to provide you with more effective customer service and/or to provide you with important information about the product or service that you are using, including critical updates and notifications. 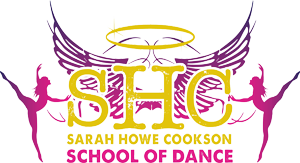 Additionally, we may send you information about other Sarah Howe Cookson School of Dance products and services. How do I control Sarah Howe Cookson School of Dance use of my personal information? Except as otherwise described in this statement, personal information you provide on the Site will not be shared outside of Sarah Howe Cookson School of Dance employees or administrators who are responsible for the marketing and administration of Sarah Howe Cookson School of Dance services without your permission. As described below in the next section, you can access your personal information. How does Sarah Howe Cookson School of Dance protect the security of my personal information? Sarah Howe Cookson School of Dance is committed to protecting the security of your personal information. We use a variety of security technologies and procedures to help protect your personal information from unauthorised access, use, or disclosure. For example, we store the personal information you provide on computer servers with limited access that are located in controlled facilities. Sarah Howe Cookson School of Dance welcomes your comments regarding this privacy statement. If you believe that Sarah Howe Cookson School of Dance has not adhered to this privacy statement, please write to us via postal mail at the address provided below, and we will use commercially reasonable efforts to promptly determine and remedy the problem. You may have your personal/contact information removed from our databases by e-mailing us on enquiries@sarahhowecookson.co.uk and we will remove your contact information within 24-48 hours.